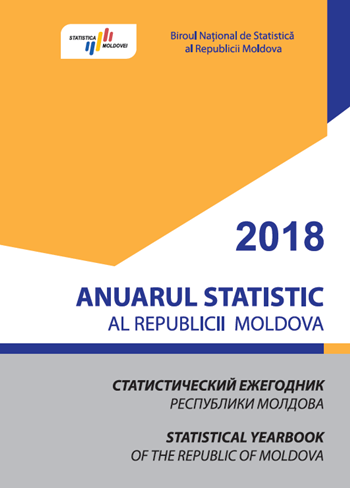 National Bureau of Statistics has published the "Statistical Yearbook of the Republic of Moldova", edition 2018 in printed form. This publication contains detailed information on the extensive socio-economic situation of the country and represents a working tool for the development and preparation of the necessary development programs for both state authorities and local government as well as for economic units and other users. The Yearbook is structured in 24 chapters and includes about 370 tables and diagrams. Each chapter contains methodological notes for basic indicators. In the final part of the Yearbook data on international statistics are presented, fact that gives possibility to compare the indicators for the Republic of Moldova with those of other countries. The main indicators are presented in territorial aspect.